The finance leaders of the future must reach their full potential. That means springboarding off their unique knowledge in three ways. In the last quarter-century, the CFO role has transformed: CFOs now work as the CEO’s strategic partner rather than serving in a pure accounting function. Yes, deep knowledge of financial statements is a must-have—but these days that is just the start. The biggest opportunities to add value exist in three distinct dimensions: innovation, strategy and culture. Today’s CFOs must be deeply knowledgeable leaders who understand their company’s levers and dials, know how to make things happen and can look to the future. They are, by definition, innovative—a far cry from outdated stereotypes of men with pocket protectors and a painful inability to grasp anything beyond numbers. In some ways, we can chart the CFO’s revolution back to Ford Motor Co. in the 1980s under the transformational leadership of CEOs Harold “Red” Poling and Donald Petersen. When Mr. Petersen took the wheel, he inherited a company struggling to keep itself upright against a protracted recession and intense Japanese competition. Ford’s cars at the time were gas-thirsty and considered poorly made. Mr. Petersen issued a simple but challenging edict to the organization: The company needed to create cars that Americans would be proud to park in their driveways. This vision changed the corporate culture dramatically, ushering in a new era focused on improving both quality and customer appeal. It would eventually lead to the creation of the Taurus, one of the company’s all-time best-sellers. But it was not only the CEO who led the dramatic turnaround. I vividly remember sitting in a meeting in the early 1990s in which Ford executives complained they did not receive new monthly financial statements until the 20th of each month—far too late for their needs. The CFO at the time, Stanley Seneker, listened, asked what day of the month would be ideal and was told the 5th. Without blinking, Mr. Seneker promised that his team would find a way to deliver new numbers just five days after each month ended. And it did. While it might seem small, this was a breakthrough moment in the CFO’s value. Instead of remaining stuck in his department and its processes, Mr. Seneker recognized that the finance team’s first principle—its foundational reason for being—was to help the company succeed. To do that, he understood that he had to provide the CEO with data faster. So he went back to the drawing board and rebuilt everything about his financial reporting structure to make fifth-day delivery feasible. Another story of CFO innovation comes about 20 years later, at American aircraft manufacturer Hawker Beechcraft—now known as the Beechcraft Corp. The CFO, Sid Anderson, bought model airplanes from the corner store and had employees take them apart to map out how they were built. He then applied that same design thinking to create an entirely new manufacturing control system for the company. Mr. Anderson stepped far beyond spreadsheets to create a more efficient system that delivered better products. These new, broader expectations for finance leaders were reinforced by the passage of the 2002 U.S. Sarbanes-Oxley Act, which imposed new rules and stricter standards for corporate governance. The law thrust financial leaders into the spotlight—as their viewpoints and responsibilities became central to both the CEO and the board. As a result, CFOs and other top financial executives increasingly came to chair the audit committee on a company’s board. While just 4 percent of finance executives did so in 2002, a decade later 33 percent of these executives stepped into this role, according to executive search firm Spencer Stuart. In their new role helping to drive innovation, CFOs must avoid common stumbling blocks. One big problem is what is known as a hurdle rate, or the minimum rate of return on a project as defined by the finance team. It is virtually impossible for an investment that is truly transformational—an industry-changing breakthrough that emerges from a “horizon-three” strategic frontier, let alone a horizon-four game changer—to reach a hurdle rate hooked to normal ROI expectations. While hurdle rates can be useful benchmarks, they are, frankly, inappropriate when used to measure an innovation’s potential. Not all risks should be reduced to this decision-making rubric. Finance leaders must consciously take off these outmoded shackles to become innovation champions. They must understand that their company’s long-term success depends on it. Finance leaders must take off outmoded shackles to become innovation champions. Their company’s long-term success depends on it. In the past, determining corporate strategy involved looking at recent trends, extrapolating them into the future, making assumptions about where the business was headed and then creating numerical goals. The CFO’s job in this process was simply to make sure business units had their acts together to deliver those numbers. Today, businesses are fundamentally changing their approach to strategy, learning that the best financial leaders frequently see what others miss. Rather than serving as just numbers-enforcers, financial executives must have deep conversations with other C-suite leaders about the bets they are willing to make about the future of the company. CFOs are no longer simply the voice of “no” in the organization—vetoing promising new ideas because they are too expensive. Instead, they act as strategic partners, helping the company assume the right amount of risk while also keeping strategic goals top of mind. Sometimes this means that modern CFOs will advocate for strategic bets that might make traditional finance experts pale. For example, in the past, executive leaders might have chafed at commitments related to minimizing a company’s environmental footprint, seeing these rules as only a liability and a cost center. Today, however, CFOs recognize that while investments in sustainability may have a longer payback period than other kinds of investments, they can actually drive financial performance over the long term. I recently worked with a soft-drink company that pledged to reduce the sugar content in its products without lowering the pleasure quotient. Promising to change the formula of a wildly popular product would make old-school CFOs cringe. But the new breed understands strategic risks like this are integral to a successful future. Once leaders establish the company’s strategy, the CFO takes on a coaching role: What processes or systems can different business units adjust to achieve a certain result? Because financial executives see across the business and fundamentally understand the company’s operations, they are uniquely qualified to teach and empower executives to own certain levers and dials. But CFOs can only be successful in this strategic role if they are great communicators. Gone are the days when a finance chief could speak only to their team and the COO. Today’s CFOs must be far more visible and transparent. Their willingness to engage and share information creates a virtuous circle: The more time they spend communicating and educating, the more sophisticated business units will become in understanding links among strategic goals, performance and budgets. When all executives have the same visibility into and ownership of data, they become far more aligned on strategic goals. There is another, more fundamental reason CFOs make excellent strategy advocates. Change is always met by resistance. Employees may be suspicious or fearful when a sales leader or innovation officer attempts to spread the gospel of change. But when the finance chief embraces a bold new strategy, his or her endorsement carries significant weight. If the CFO—the financial gatekeeper and no-nonsense leader who tells it like it is—signs on, employees feel far more comfortable with a new strategy, audacious though it may be. Today’s strategic CFOs know when and how to say yes: to the right calculated risks, the right bold decisions and the right newly imagined future. Corporate culture influences everything that happens in a company. It reinforces (or undermines) strategy and execution while encouraging employees to act in certain ways. It can, then, be a potent force for change or for stagnation. The CFO’s shift into a strategic role means that financial leaders today are essential to establishing a change-friendly culture. This may seem odd: Culture is the responsibility of CEOs, HR and transformation consultants, right? In fact, the people who control the company’s numbers and data have a unique vantage point from which to build organizational culture. That is because CFOs today are tasked with breaking down silos and using data across business units to align strategic perspectives. Previously, different units might have relied on different metrics to determine success. Because each looked at the business through a different lens, the departments would often find themselves in conflict with each other. Take, for example, supply chain and finance. To a company’s supply chain experts, success is defined as not running out of stock. But to finance, success means not having too much inventory. A CFO must wield the power of influence to drive a new culture of collaboration and transparency. The CFO, and his or her numbers, can act as a potent force to build bridges and create shared values across business units. 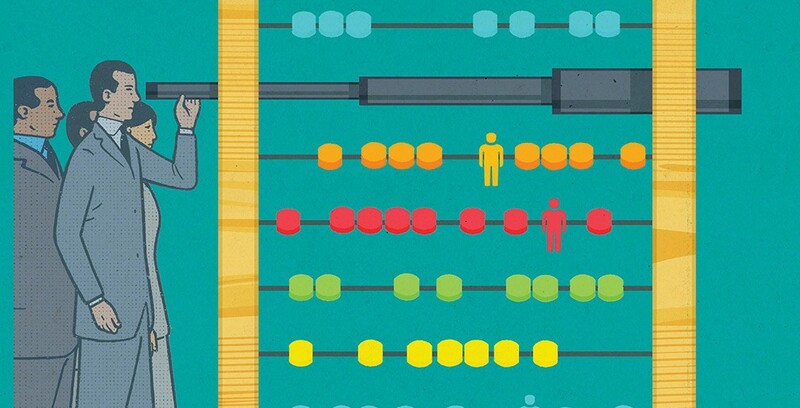 Data—solid, indisputable facts—can help different groups unhook from their own biases. Strategic financial leaders can use their data as a jumping-off point from which to create common key performance indicators that help business units transcend different viewpoints and push toward the same larger strategic goals. Importantly, they should identify metrics that encourage accountability and customer orientation, while also pushing for new reporting mechanisms that encourage data-sharing to provide the broadest perspective. CFOs must assume an inclusive leadership style that rules by influence to convince company stakeholders to share “proprietary” information across units. With everyone on the same page, organizational agility falls easily into reach. In a world overwhelmed by change—in which executives must rethink strategy with relentless frequency—CFOs play an essential role. Rather than simply mastering the numbers, a CFO must wield the power of influence to drive a new culture of collaboration and transparency. And that, in turn, allows companies to push through the fog and into the future. This article appeared in the Spring 2019 issue of Insigniam Quarterly, with the headline “The Three-Dimensional CFO.” To begin receiving IQ, go here.